Are you tired of cleaning the filter or clearing the hose when it gets blocked on your old vacuum? I hated it, I’d have to ask my husband to unclog the hose just about every 2 weeks. So when I was thinking of things to include in my Holiday Gift Guide this year, I thought a Shark vacuum would absolutely be an awesome gift, so after looking on their site, I requested the Shark Rocket Deluxe Pro to review! The Shark Rocket Deluxe Pro vacuum is amazing! I love it! 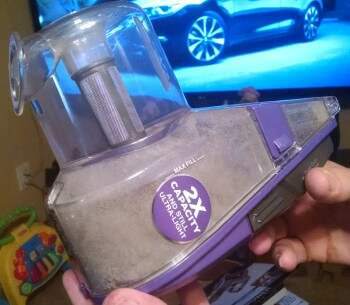 The first time we vacuumed our living room with it, it picked up so much I was amazed! 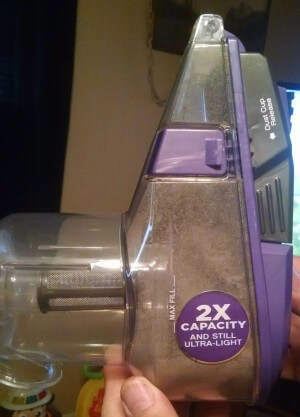 I couldn’t believe it picked up so much more than our other vacuum did. I’m happy to know my carpets are deep cleaned every time we vacuum now. 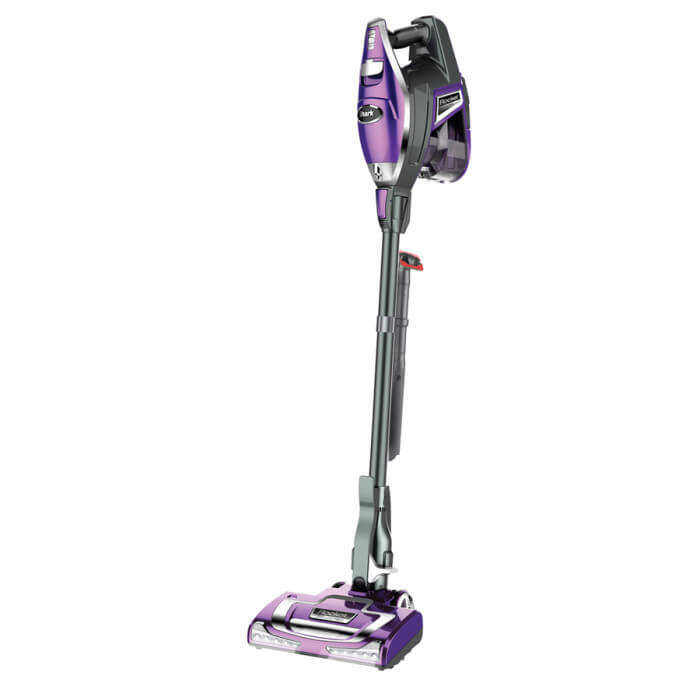 It is a low maintenance, high powered bagless vacuum with a small frame. There are no messy filters to clean and no hoses to get blocked with debris causing them to lose suctioning power. The Shark Rocket Deluxe Pro is very easy to use. The Shark Rocket Deluxe Pro comes with 2 fittings – one for carpet and one for hard floors. The motor or “main brain” of the vacuum is located at the top instead of at the bottom like many vacuums making it top heavy. However, this makes the vacuum easier to maneuver. The motorized brush floor nozzle, which is the fitting used for carpet, is small but highly flexible. The floor nozzle uses a swivel maneuver for hard to reach places. This would be most comparable to zero turn technology used in lawn mowers. The motorized brush floor nozzle is equipped with a headlight to illuminate the floor space. The vacuum also comes with crevice tools for areas unable to be reached by the motorized brush. Overall, this is the best vacuum I have ever owned. I love that it can be used in many other ways beyond being a traditional vacuum. The pivot ability and its ability it get in tight spots is such a nice addition to vacuuming! Priced at just under $200 this is a steal of a deal! I know the Shark Rocket Deluxe Pro will last me for years to come! I am so happy the nice people at Shark agreed to let me do this review and include them in my holiday gift guide. Be sure to like Shark on Facebook so you can stay up to date on the latest products available!